Using instant messengers or various VoIP applications for communication is nothing new to everyone now. But how to make it "new" in creative, entertaining ways, is a real "puzzle" that has been driving many of the users crazy. 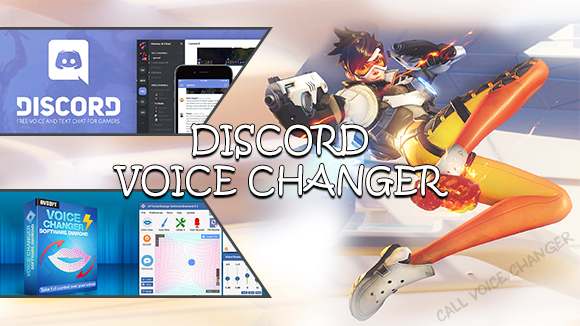 The upcoming trick that Call Voice Changer brings you, will surely take online communication to a whole new level with full of creations and laughter. AV Voice Changer Software is one of the most simple yet effective voice changer for calling out there, that allows you to record your voice and change the way it sounds into any characters you wish for. This voice changer has a powerful ability to work with almost all IM and VoIP programs, which means you can change voice while calling in real-time without being caught by your friends. 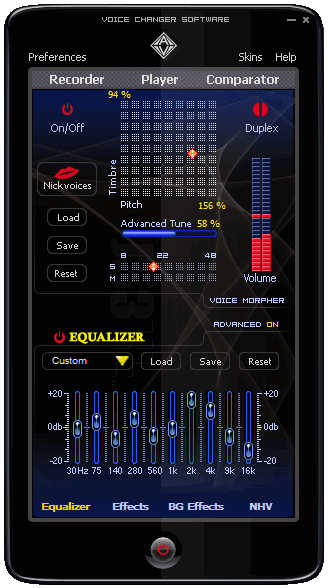 Its quick access to all specialized morphing settings, plus a smart design will simplify even your sophisticated voice changing tasks. IM & VoIP clients: Skype, Ventrilo, TeamSpeak, Yahoo Messenger, MSN Live Messenger, AIM, XFire, GoogleTalk, Roger Wilco, Net2Phone, and many more. Online games: Second Life, World of Warcraft, EVE Online, Lord of the Rings Online, Everquest, Counter-Strike, Battlefield 2 and others. Voice effects: Reject Instrumental, Bass Cut, Radio, Ghosts, Orchestra, Big Hall, Metal Echo, etc. Background effects: Battlefields, Explosions, Machine-gun, Women Walks, Traffic Jam, etc.